Happy Valentine’s Day! Introducing new “Be Mine” Roving. You can find it on Etsy @ https://www.etsy.com/shop/parsonsprairie. It is 55% Alpaca/40% Wool/5% Nylon. Perfect for sock yarn or any of your projects where you want the softness of alpaca, the memory of wool and the strength of nylon. The alpaca comes from Sgt. Pepper. 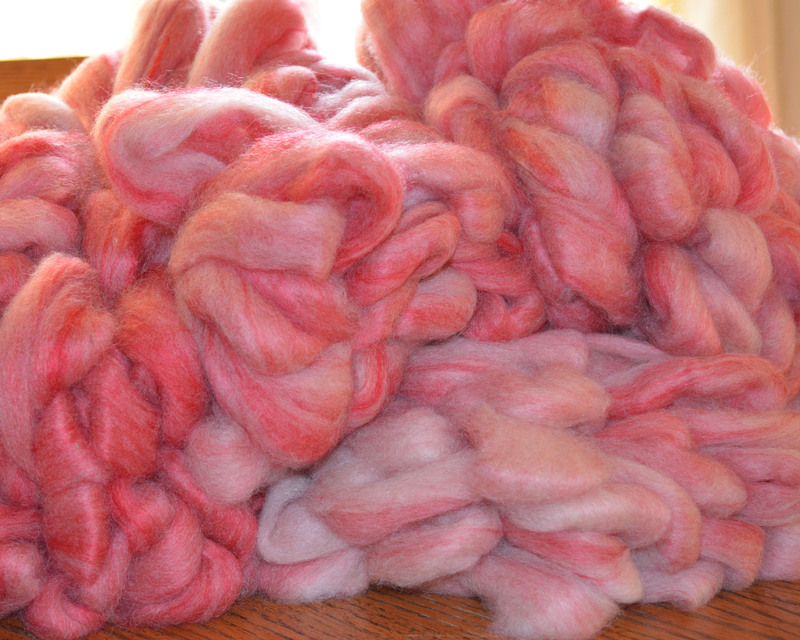 Get ready for the next batch of blended roving…….Pink Pandemonium. This is a blend of 70% alpaca (a natural beige) and 30% bamboo (dyed a shocking red/pink color). 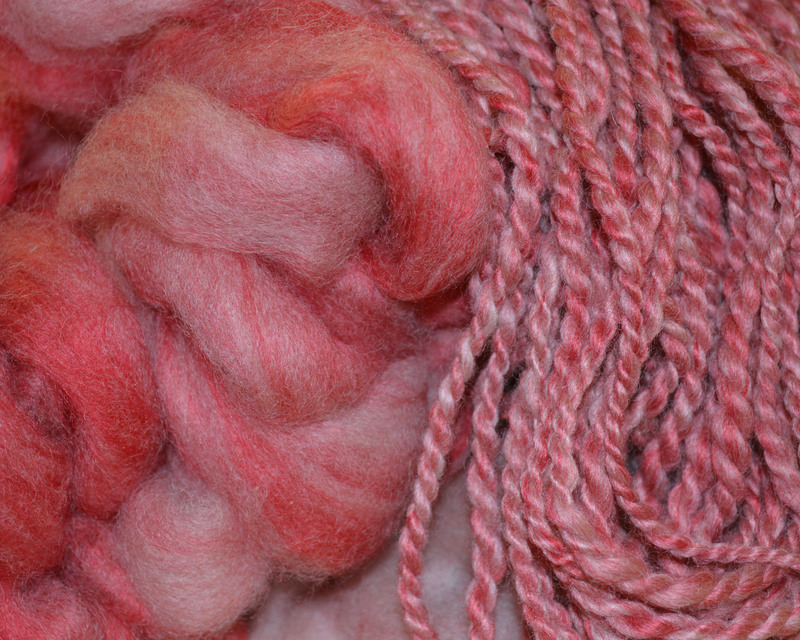 The roving is already up on the website at http://www.naturalfiberfarm.com and comes in 4 ounce bundles. 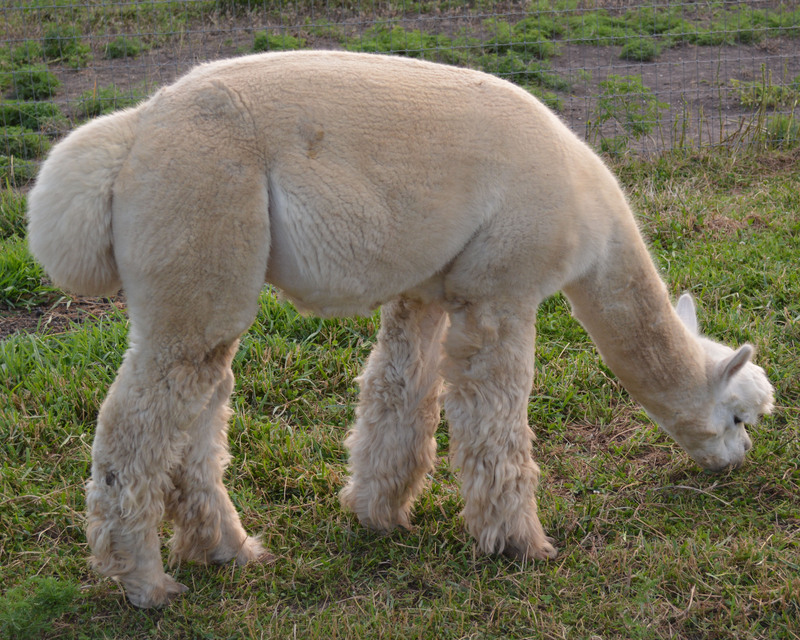 The alpaca fiber came from Ringo who has soft, fine fiber with beautiful crimp. Ringo is one of our shy males and can always be counted on as a good & safe buddy when we move the male weanlings over to the “big boy” pasture. 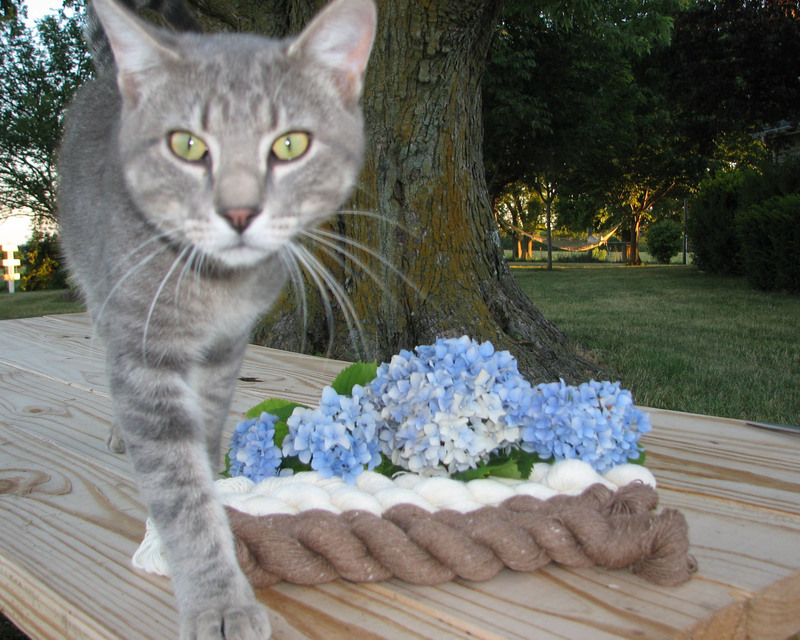 So…..do you know who your roving comes from? Yes, I have a big announcement to make! I just have to iron out a few details and get busy putting it all together. If Willie would stay out of my way, that would sure help! Expect to hear something real soon after the 4th. I just received some new yarn from the co-op and it is beautiful! 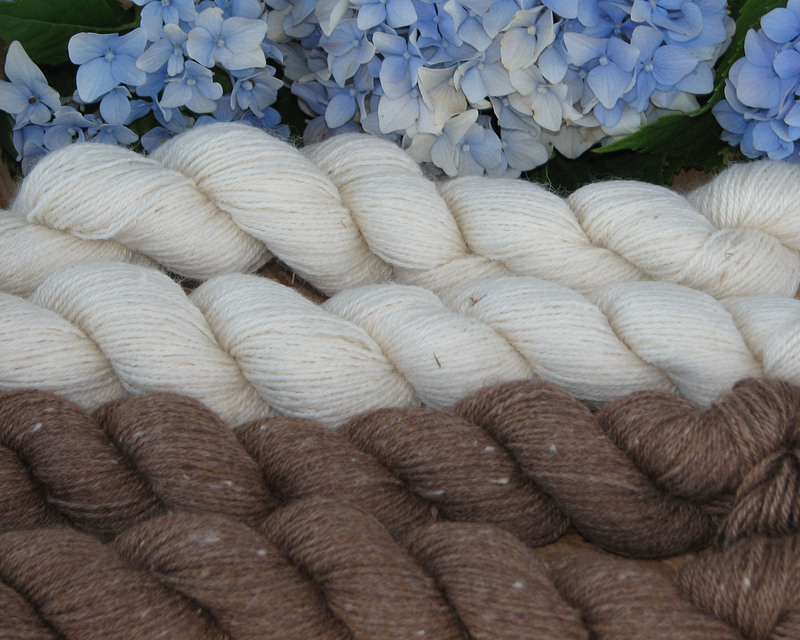 It is a superfine alpaca; 76% Huacaya Alpaca, 4% Suri Alpaca and 20% SoySilk. The skeins are approximately 50 gram/210 yards. I have 32 of the cream and 4 of the sandstorm. Visit my Etsy store at www.parsonsprairie.etsy.com for more details and to purchase.